Japan is famous not only for its temples and shrines but also the magnificent Imperial Palaces and Villas. You might have heard of these places while researching for your travel plans. You will immediately notice that Kyoto has four of the places and one in Tokyo. In fact, it is possible to plan for a same day visit to at least two of these places together in Kyoto. 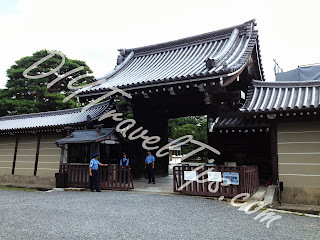 Three would be a rush but plausible if you do not mind all Japanese guided tours. 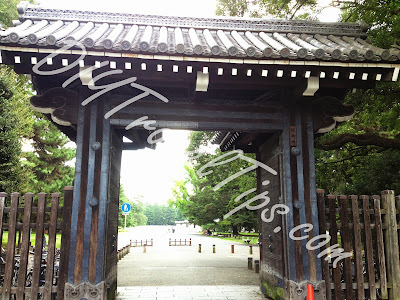 I managed to visit the Kyoto Imperial Palace and Shugakuin Imperial Villa on the same day. You can click on the links above where I have shared some of my experiences on booking the tours to these places. While you are free to use my experiences for your own planning, I will still need to mention the usual disclaimer. Speaking of which, access to these places are FREE, but you need to apply to join guided tours organized by the Imperial Household Agency and not allowetd to roam around yourself. The tours are about an hour long. Probably makes sense because these places have important cultural and historical significance. Online application can be done at this link. Dates open about three months in advance and the more popular locations like the Villas frequently get booked out very fast. After submitting your details, you will receive an email and a permit for the visit. You will need to print out and show the permit to the entrance plus your passport on the day before you will be allowed to enter. Having been to both the Kyoto Imperial Palace and Shugakuin Imperial Villa, I will say that the Kyoto Palace tour group was bigger and much easier to book online. I was still able to get a spot even with only one week left to the actual date. However, the Shugakuin Villa tour group was much smaller and totally booked out for all the dates that I was in Kyoto. As my booking for Kyoto Palace was 10am and the Imperial Household Agency is nearby, I decided to arrive earlier at the Imperial Household Agency and try my luck at applying to either the Sento Imperial Palace (nearby the Kyoto Palce) or the Shugakuin Villa on the same day. I was still afraid that there might not be any more slots left but I was surprised to know that both places are available and the two afternoon slots for Shugakuin (1.30pm and 3pm) still had free slots available. So I decided to take the 1.30pm slot for Shugakuin. Hence I believe there are reserved slots for walk in application even if the online slots are full. If you are in the same situation as me, just get yourself into the Kyoto Palace tour first, preferably morning slot and apply in person on the day for another one of the places for an afternoon slot. 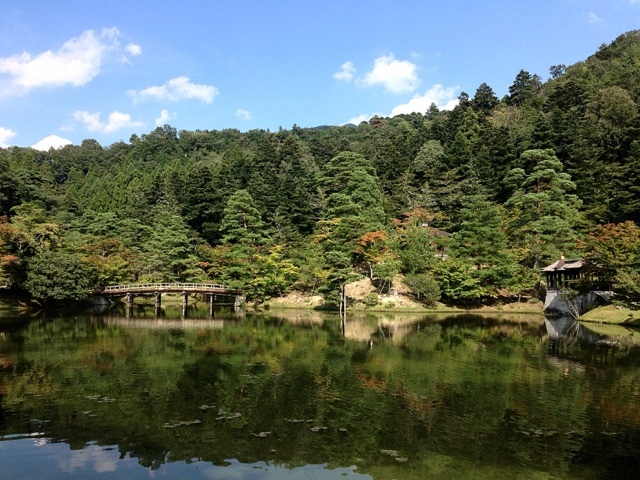 Join the 9am Japanese guided tour for Kyoto Palace which should end around 10am. You can then choose an afternoon slot for either Katsura Villa or Shugakuin Villa. 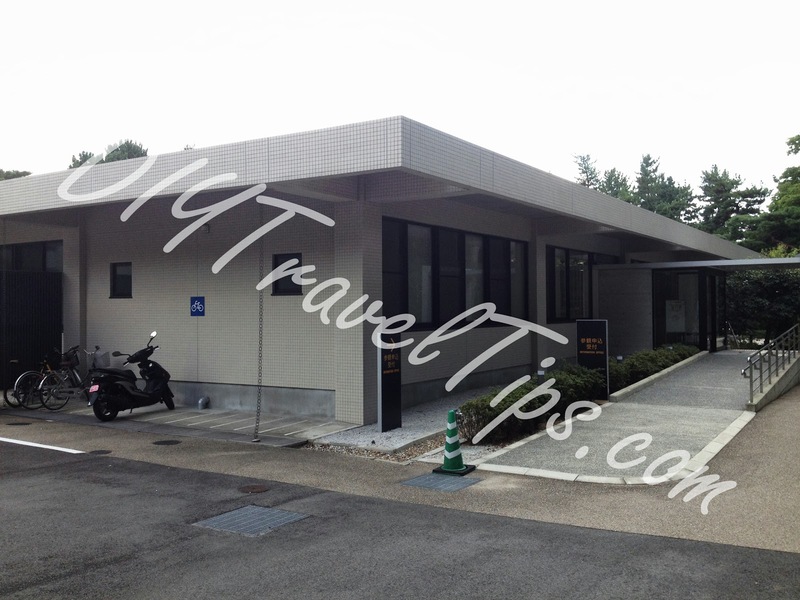 As these two Villas requires some travelling from the Sento Palace, you should take the 3pm slots to buffer enough time for travelling and probably lunch. Mind you, the above would be very tiring especially since the tours involve quite a bit of walking. So how do you reach the Imperial Household Agency? From the Google Map above, Take the Karasuma (烏丸線) subway line to Imadegawa (今出川) station and exit station via Exit 3 (Green Marker). You should come to a cross junction and see a huge walled compound on the opposite side. There is a Family Mart (Yellow Basket) convenience store to the diagonal direction. Cross the road and walk along side the walled compound. 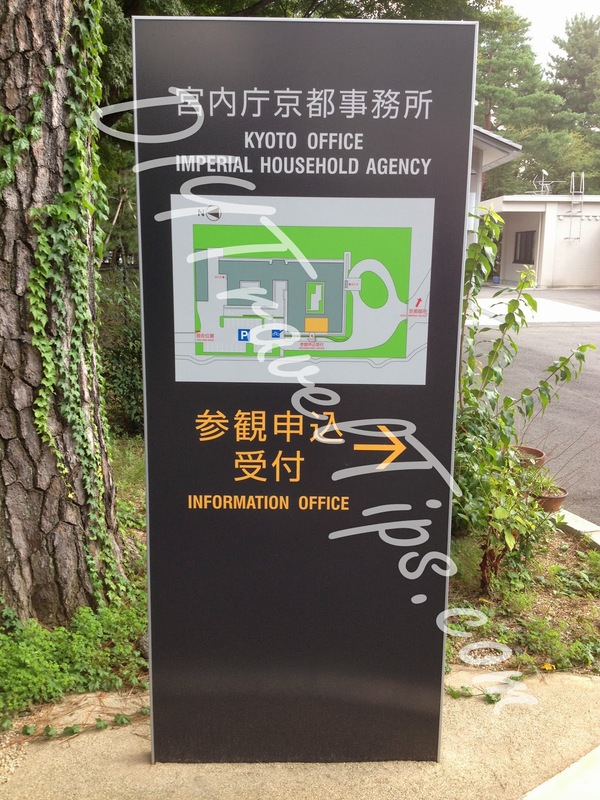 You should come to an entrance not very far in front which is the Inui Gomon Gate (Yellow Marker). 乾御門is written on the upper right side. After you have made your application, time should be very tight. So quickly exit the doors and turn left where there is a path that leads to the Seishonmon Gate which is the entrance to start your first tour of the day! There is a guard post there which you shouldn't miss. You can also ask the Agency staff for directions. I hope you will enjoy touring these places and find my information useful!